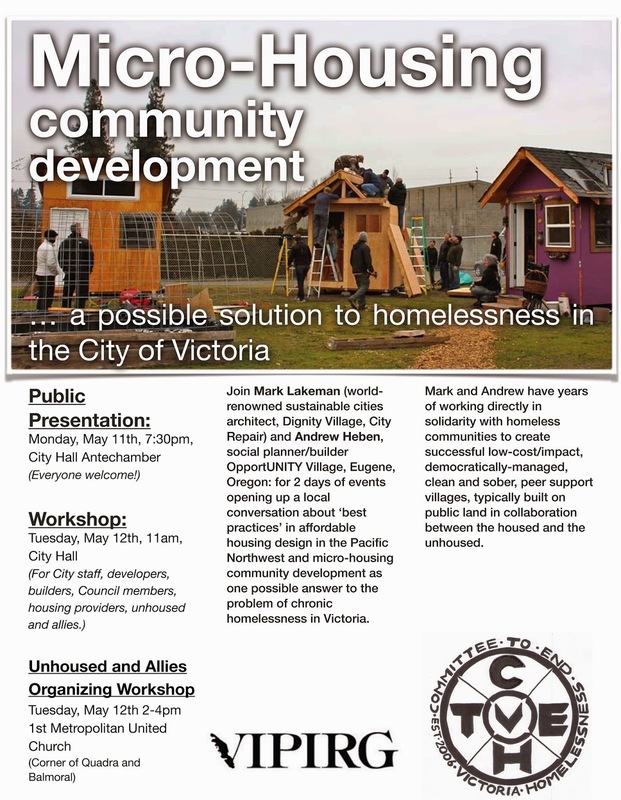 "The City is partnering with the Committee to End Homelessness and the Vancouver Island Public Interest Research Group to host two urban planners from Oregon, Mark Lakeman and Andrew Heben, to share information and answer questions relating to micro-housing communities in Portland, Eugene and other cities in the Pacific Northwest. As we grapple with homelessness in our City and region, including overnight sheltering in City parks, we are hoping you can join us for this important discussion to evaluate the extent to which micro-housing may help form part of the solution." Will be sure to recap the events upon my return.. It was fate to come here at this place. It really paves the way for me to want to go out more. I was fortunate enough to have seen this excellent place with my friends. The entire space at venues for events feel warm and intimate.